As you know Commission Hayne, heading up the Royal Commission into Misconduct in the Banking, Superannuation and Financial Services Industry, has released his report. It was a disappointing. We thought the Commission’s recommendations would address the underlying and systematic issues of misconduct by the Big Four Banks – they did not, instead, the Commissioner went hard against 17,000 small business owners. There were two main recommendations for mortgage brokers you might be interested in. Good news. The Commissioner is calling for brokers to act in the client’s best interest. Yep – tick – we do this already and will always continue to do this. It’s just how we do business. In fact, my business (and livelihood) is built on your clients’ recommendations to family and friends. It’s also the reason 6 out of 10 Aussies (and growing) choose a broker over a bank to secure a loan. What was disappointing was the recommendation on how 17,000 small businesses, like us, get paid. Rather than being paid by lenders, as we do now, the Commissioner is suggesting that our clients pay for our services. This means that you – our clients will have to pay more, we will be paid less and guess what, the banks make more profit at your expense. Again! These recommendations give a giant, free kick to the Big Four Banks. If there are less brokers, there will be less competition which means you as a client will pay more in the future. But we’ll fight to keep it fair for your clients – and for you. As you know, we don’t work for a bank. In fact, Asset Finance Services is not a bank, nor is it owned by a bank. We’re a home-grown Australian company – still proudly family owned and operated. Currently, a bank’s culture does not compare to our family values. We operate the business with a “family values” philosophy and have done for the last 20 years. Because family comes first. What’s Asset Finance Services relationship with the banks? 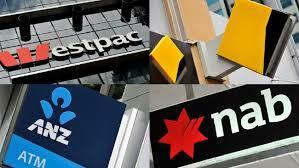 To keep them honest and negotiate hard with over 45 lenders on your behalf – from the Big Four to speciality lenders. Provide choice and negotiate on your behalf with over 45 lenders from the Big Four and boutique lenders, without bias. Keep the market competitive and fair for all Australians. If you have any questions at all about the Royal Commission recommendations, please don’t hesitate to give me a call.